We’ve always known that sending greeting cards to those we love is a great way to make someone’s day. It’s no secret that receiving a really nice personal greeting card in the mail — instead of the usual suspects (aka bills) — brings a smile to your face. But what in the world does self love have to do with greeting cards? Well, we were thinking the same thing until our friends at True and Co. — a company that stands behind self-love and helping every woman feel comfortable, confident, and positive in their own bodies — gave us their own insight on why sending greeting cards is a great form of self-love. “When was the last time you sent your best friend, mom, dad, sister, or grandma a card in the mail just to say hi or let them know how much you care about them? When was the last time you received a card like that? By adding such a simple, thoughtful act of kindness into your self-care routine, you can brighten two days in one – yours, and your loved ones’. 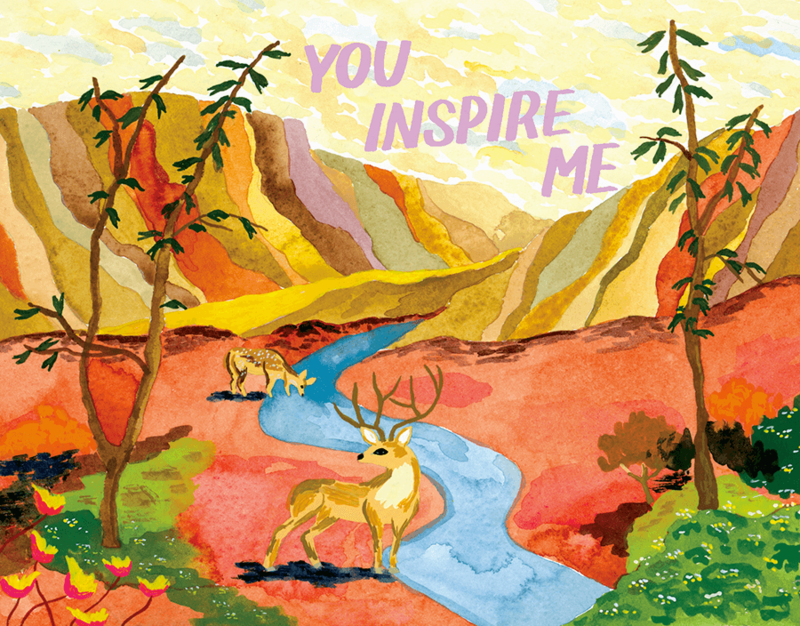 Sending greeting cards can be a great way to practice self-love. It feels so good to step back and appreciate the people in your life who are important to you and love you. Using cards to do so reminds both you and them how much you love one another and truly appreciate being a part of each other’s lives. This form of self-care pulls you out of the typical practices that are solely centered on you. Although those are all excellent ways to care for yourself and should be practiced often, it can be incredibly refreshing to branch out and make yourself feel good by instead, making others feel good. There’s nothing like that excited butterfly feeling you get when something comes in the mail that isn’t a bill, advertisement, or Amazon order. 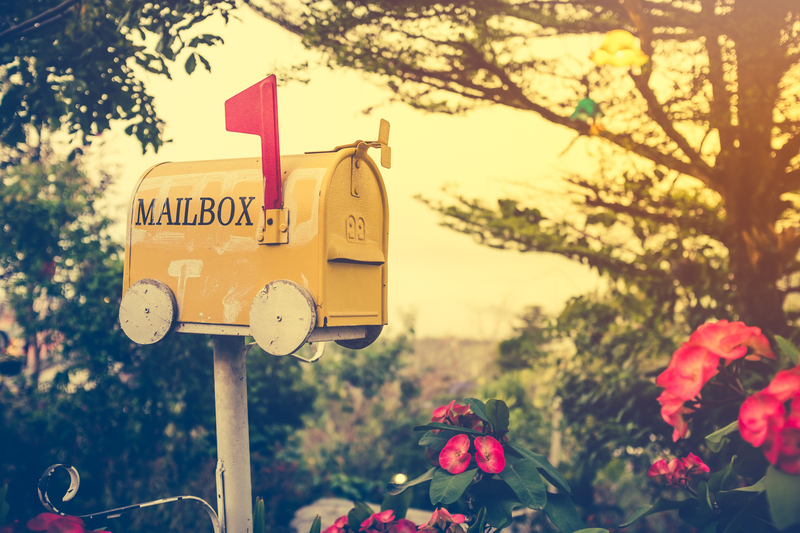 In sending cards to each other, we renew that feeling of written connection to each other and can make our correspondence much more personal and meaningful than a text message or an e-mail. Cards have a creativity and personalization to them that make each one unique to the relationship between the sender and receiver. No matter the occasion, there is always something to fit and with Postable’s “Upload Your Own” cards, personal photos, inside jokes, or messages can even be included. Can’t argue with that. Practicing self love by sending others some snail mail love sounds like something we can totally get on board with. Heck, this means we’ve been practicing self love all over the place. Want to send someone you love some good vibes? Here are 6 greeting cards to do just that. 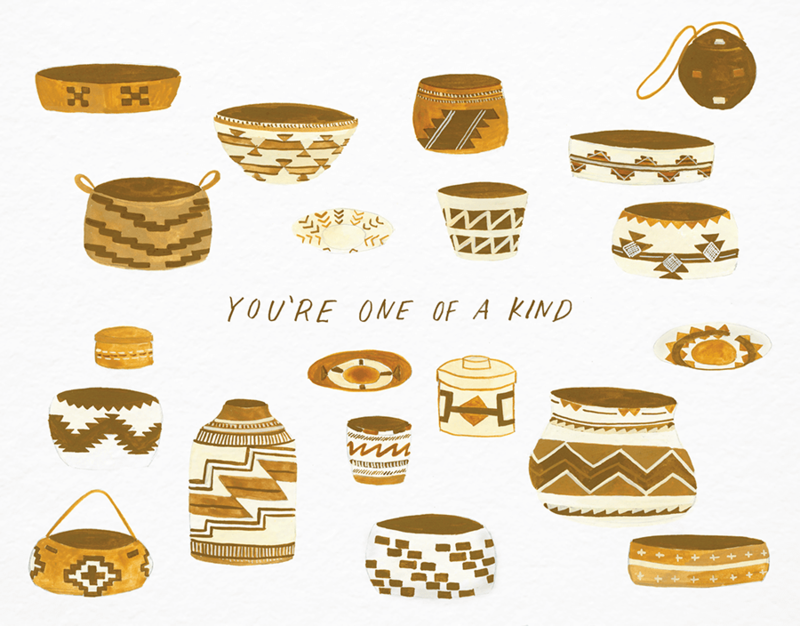 This lovely basket one of a kind greeting card by Small Adventure has the message right on the front. Of course you could also add your own loving message on the inside. Practice self love with puns. Now that sounds like a great idea! This pun greeting card by Knotty Cards will not only send your loved one all the good vibes and an affirmation (if there ever was one), but will also probably send them a giggle. What’s better than giggles? Another Small Adventure creation to make your loved ones feel all sorts of loving feels. Not only is the message on the front uber feel good, but the hand painted artwork is frame worthy. 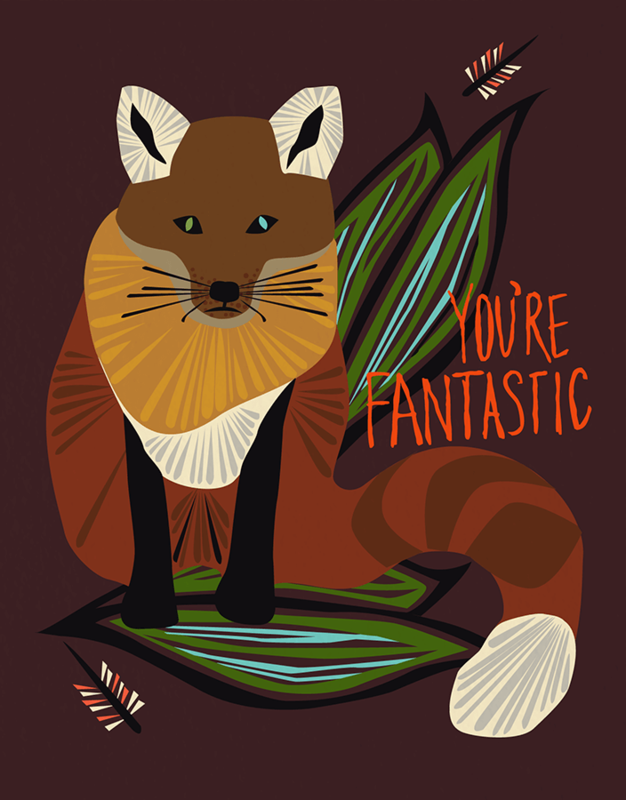 This beautiful card by one of Postable’s newest artists, Elizabeth Grubaugh, is a perfect way to send some love to that person in your life that adores the fox. They’ll feel good about the message (who wouldn’t want to be told that they’re fantastic?) and the artwork will make it extra special. 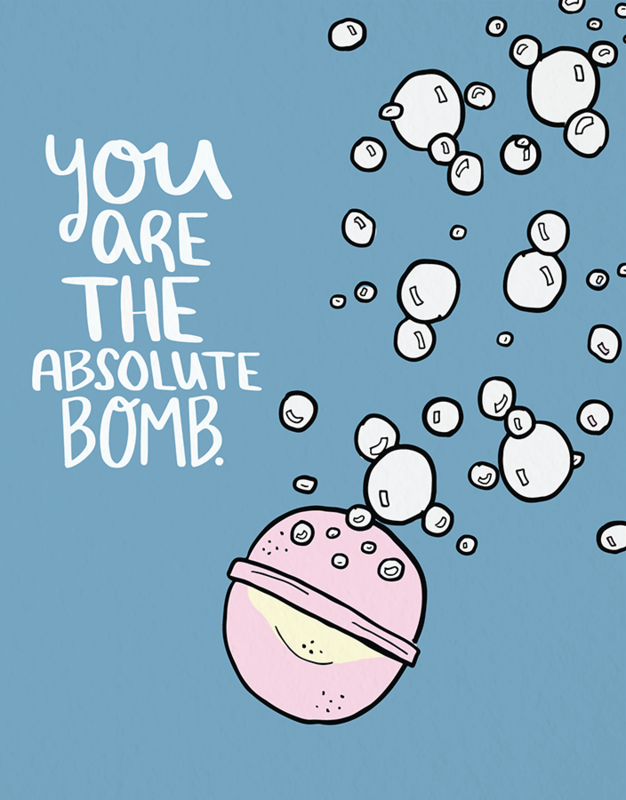 Of all the self love cards out there — this one by Sussie Esse is Queen of them all. Get it? 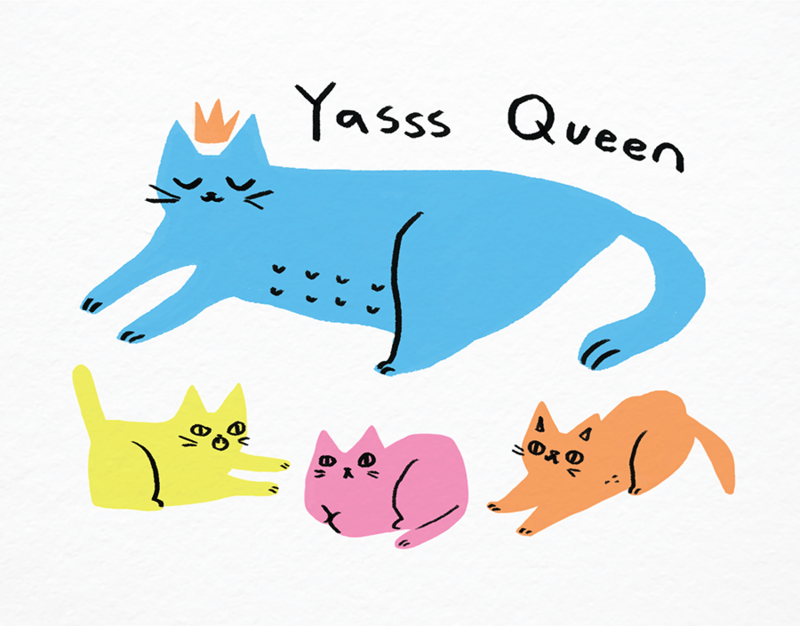 Perfect for all the queens in your life. An adorable way to let them know how much you love them. 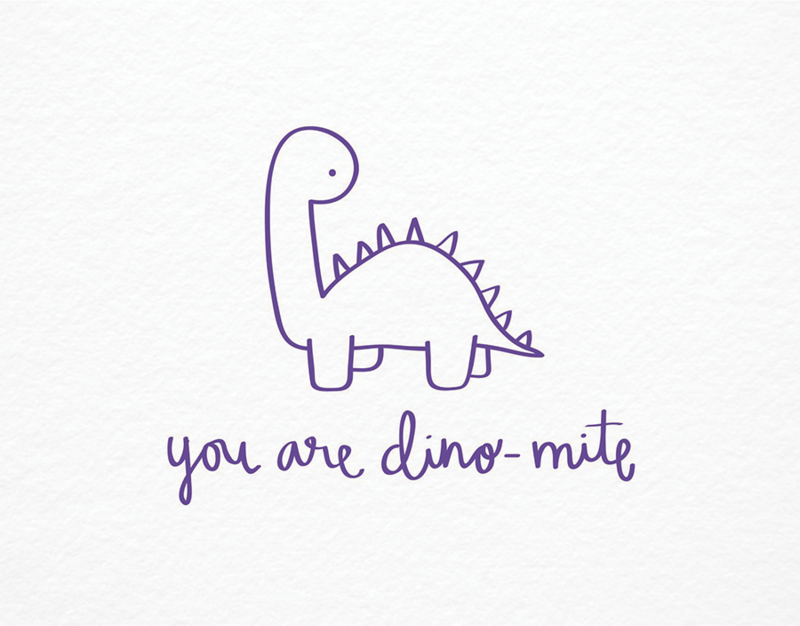 You can’t go wrong with a cute pun card like this. 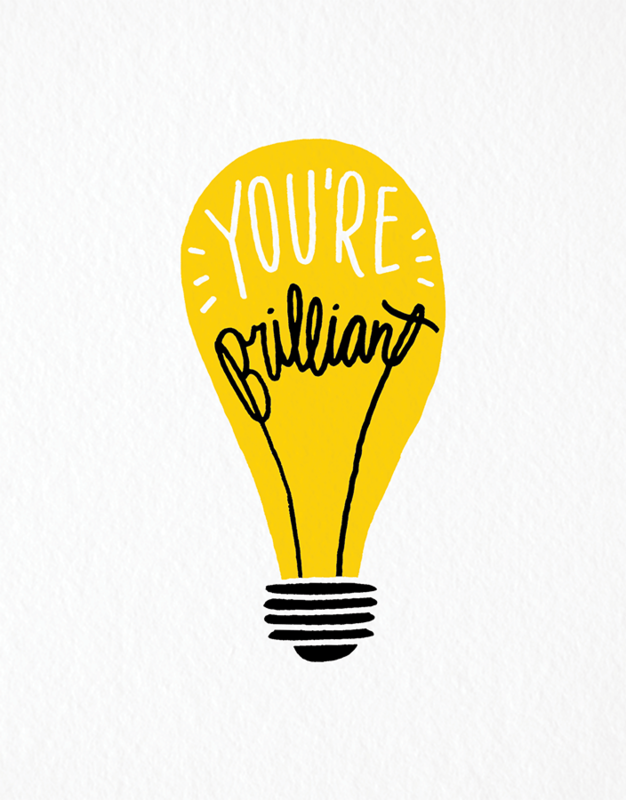 Know someone who deserves a little reminder of their innate brilliance? This card will do the trick. 8. Upload Your Own — Affirmations by True & Co. If you have your own design (or picture) you’d like to send some love with, you can always upload your own design to one of our blank templates. 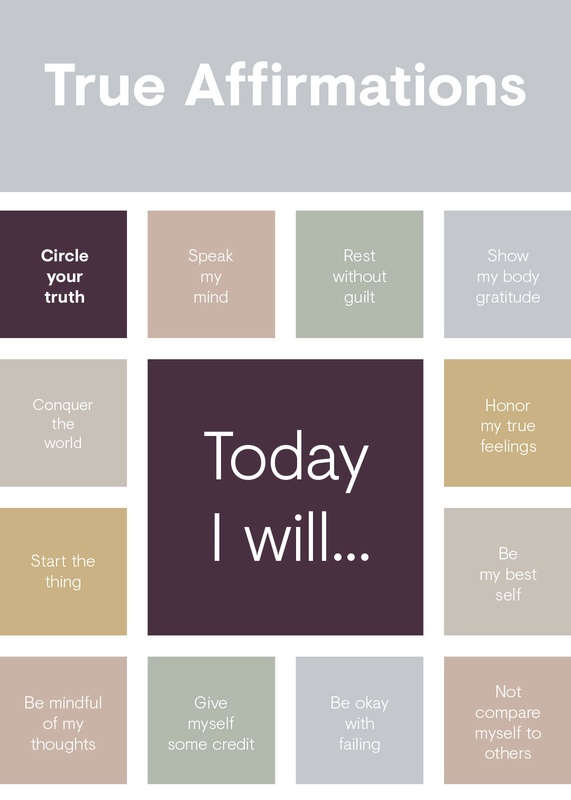 This affirmations card design brought to you by True & Co. Save this image and upload it to the flat cards blank template to send it to someone you love. The best part of this self love practice is that it’s crazy easy to do. All you need is a few minutes to show someone you care about just how much you cherish them. After all, that’s the best thing we can do right? If these greeting cards didn’t tickle your fancy, not to worry — there’s a whole bunch of really nice designs that will show them you care — here. Once you’ve chosen your card, make sure to include your personal message. You can keep it short and sweet — a simple I love you goes a long way — or write something a bit longer. Perhaps you want to tell a short joke or reminisce on something special. Whatever you choose, make it personal and avoid writing a whole letter. Once that’s done, all you have to do is click send. Postable will take care of the rest. It’s legit never been easier to show the people you care about just how much you love them. The question is, which card will you send?